TORONTO - Michael Ondaatje and Guy Vanderhaeghe are among the contenders for this year's $50,000 Scotiabank Giller Prize. Organizers announced a long list of 16 books Tuesday morning. Ondaatje made the cut for "The Cat's Table" (McClelland & Stewart), about an 11-year-old boy who journeys to England on a huge liner in the early 1950s. 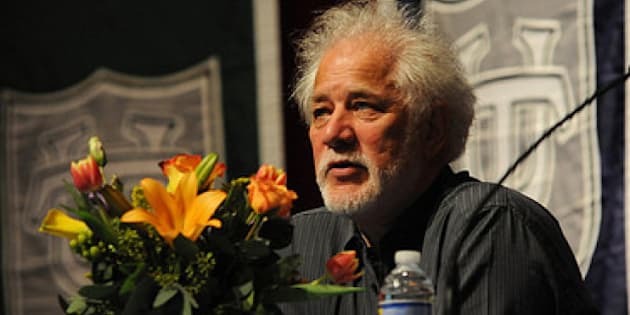 It's the sixth novel from Ondaatje after his 2007 Governor General's Award-winning "Divisadero." GG Award winner Vanderhaeghe is in the running for this year's Giller for "A Good Man" (McClelland & Stewart), which completes what could be a trilogy set in the late 19th-century Canadian and American West. Others on the Giller long list include Patrick deWitt for "The Sisters Brothers" (House of Anansi Press) and Esi Edugyan for "Half-Blood Blues" (Thomas Allen Publishers), both of whom also made the short list for Britain's Man Booker Prize on Tuesday. Former Giller contender Marina Endicott made the long list again this year for "The Little Shadows" (Doubleday Canada). Author and filmmaker David Bezmozgis is a contender for "The Free World" (HarperCollins Publishers Ltd). Author and Globe and Mail columnist Lynn Coady is in the running for "The Antagonist" (Anansi). Charles Taylor Prize winner Wayne Johnston is on the list with "A World Elsewhere" (Knopf Canada). Three short story collections are also up for the prize: "The Meagre Tarmac" (Biblioasis) by Clarke Blaise, "The Beggar's Garden" (HarperCollins Publishers Ltd.) by Michael Christie and "Better Living Through Plastic Explosives" (Hamish Hamilton Canada)by Zsuzsi Gartner. This year and for the first time, the Giller long list also has a Readers' Choice selection: Myrna Dey for "Extensions" (NeWest Press). The jury -- writers Annabel Lyon, Howard Norman and Andrew O'Hagan -- selected the titles out of 143 books put forward by 55 publishers from across Canada. Organizers say the number of books received this year represents a nearly 50 per cent increase in submissions received in any other year since the prize began in 1994. The names of the finalists will be revealed in Toronto on Oct. 4. The winner will be announced at a gala ceremony broadcast on CBC-TV in Toronto on Nov. 8.